In this article, I am going to guide You about the list of Top MBBS Colleges Bangalore. Also, this article is about the Best Medical College and ranks Top 10 Medical College in Bangalore, Karnataka. Top Medical Colleges In Bangalore for MBBS Admission is in very high demand among medical aspirants after completing class 12th. Join any College among the List of Medical Colleges In Bangalore for MBBS and PG Medical Admission through Management Quota. Contact us for MBBS, MD MS Admission in Some of the Best Medical Colleges In Bangalore in a low budget Package. We Provide Direct Admission to Top 10 MBBS Colleges In Bangalore through Management Quota for Neet Eligible Students. BMCRI was founded in the year 1955, by Dr. Shivram & Dr.Mekhri under Mysore Medical Education Society. 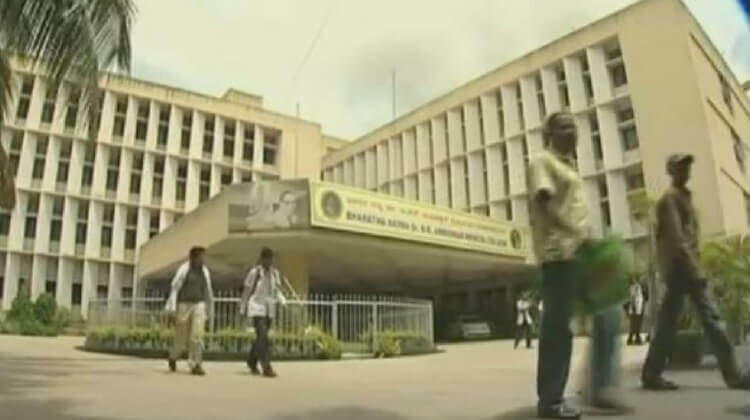 The College was later handed over to the government of Karnataka in 1956 and it is the only government medical college located in Bangalore City. BMCRI is spread over 200 Acer of Land located at K.R. Raod, Bengaluru. 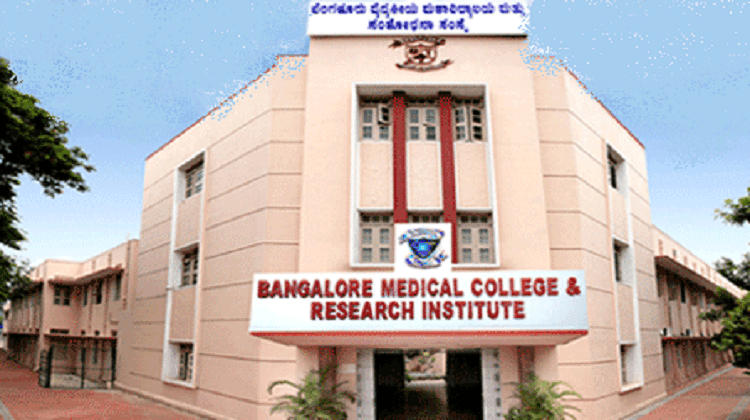 BMCRI is among the top ten medical colleges of Bangalore. It is also been upgraded to match the level of All India Institutes of Medical Science [AIIMS], with a fund of USD $ 19 million started in 2007. It has 5 associated teaching hospitals at Bangalore. Victoria Hospital at K.R. Raod is general hospital established in 1900 by Lady Curzon and is the largest medical college with a capacity to accommodate 1000 patients. Vanivilas Women & Children Hospital located at K.R.Raod is also one of the oldest medical colleges with a capacity to accommodate more than 500 patients. Bowring & Lady Curzon Hospitals is a multi-specialty hospital with a capacity of 700 beds located at Shivaji Nagar. Minto Eye Hospital is a 300 bedded ophthalmic hospital located at Chamrajpet is also attached to BMCRI. Sds Tuberculosis Sanatorium located at Hosur road is a respiratory disease & thoracic surgical center. BMCRI has the capacity of 3500 beds and it serves to more than 50% of the Bangalore Population. Also, It has Undergraduate and PostGraduate Medical Programs in almost all specialties. A Government Medical College under RGUHS, Bangalore. Permanently Recognized for MBBS, PG Medical Admission by MCI, New Delhi. Recognized for Annual Intake of 250 Students for MBBS Admission. MBBS: 4 ½ Year Program and 1-year Internship at College hospital. MD in Physiology, Biochemistry, Pharmacology, Pathology, Community Medicine, Microbiology, Forensic Medicine, Dermatology, Paediatrics, Radio Diagnosis, Radiotherapy, Anesthesiology, General Medicine, Psychiatry, Social & Preventive Medicine. MS in Opthalmology, Anatomy, General Surgery, Otorhinolaryngology, Orthopedics. M.Ch in Surgical Gastrology, Plastic Surgery, Paediatric Surgery, Neuro Surgery, Urology. Diploma in Cosmetic surgery, Radiotherapy, Neurology. St.Jhons Medical College was founded in 1963 under St.Jhon’s National Academy of Health Science [SJNAHS] which is run by Catholic Bishops Conference of India. This trust runs Medical College, 1350 Bedded Super Speciality Hospital, Nursing, Research Institute, Health Care Management and Paramedical College at Bangalore. 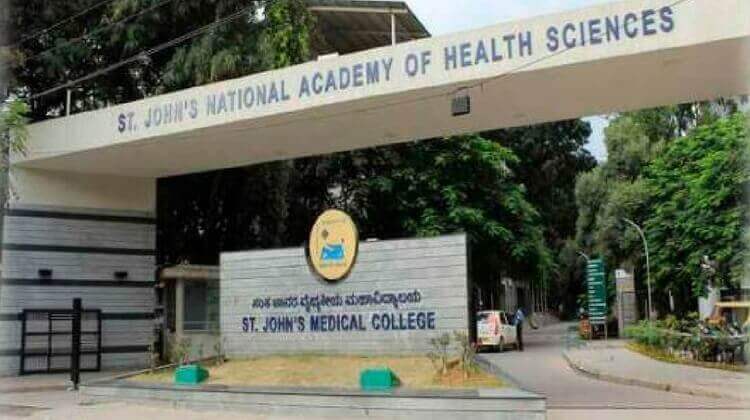 St John’s medical college is spread over 132 Acer of Land located at Koramangala, Bengaluru. St. Jhon’s Medical College was ranked No. 14th among medical college in India in 2017 by India Today, No. 15th by The Week and No 4th by Outlook India. Permanently Recognized by MCI, New Delhi for Teaching MBBS, PG Medical Degree Diploma Courses and Superspeclity Courses. A private medical college under RGUHS, Bangalore. Recognized by MCI, New Delhi. Permitted for Intake of 150 Students for MBBS Admission 2017 Batch, Recognized for Intake of 60 Students per year. MD in Anatomy, Physiology, Biochemistry, Pharmacology, Pathology, Community Medicine, Microbiology, Forensic Medicine, Dermatology, Paediatrics, Radio Diagnosis, Anesthesiology, General Medicine, Psychiatry, PMR, Emergency Medicine, Transfusion Medicine. MS in Opthalmology, Obstetrics & Gynecology, General Surgery, Otorhinolaryngology, Orthopedics. Diploma in DCP, DCH, DLO, DMRD, DGO, DA. DM in Cardiology, Endochrinology, Neonatology, Nephorology, Neurology, Gasterology, Pulmomar Medicine, Peadtric Nephrology, Critical Care Medicine. M.Ch in Surgical Oncology, Gynecological Oncology, Plastic Surgery, Paediatric Surgery, Neuro Surgery, Urology. KIMS was founded by Vokkaligara Sangha Trust in the year 1980 and is located in V.V. Puram, Bangalore. It is spread over two campuses located at Bangalore. Clinical Department and Hospital located at V.V Puram Campus. Pre Clinical & Para Clinical Department is located at 2nd Phase Banashankari. KIMS has been recognized permanently by Medical Council of India for running MBBS course since 1980-81 and PG Medical Degree Diploma Courses since 1990-91. KIMS has ranked at No 21 among 275+ Medical Colleges in India by The Wall Street Journal and The Mint. A private medical college under the Rajiv Gandhi University of Health Science, Bangalore. Permanently Recognized by MCI, New Delhi. Recognised for Intake of 120 Students per year for MBBS. MBBS: 4 ½ Year College and 1-year Internship at College hospital. MD in Anatomy, Physiology, Biochemistry, Pharmacology, Pathology, Microbiology, Forensic Medicine, Community Medicine, Paediatrics, Dermatology, Radio Diagnosis, Anesthesiology, Psychiatry. Diploma in Anesthesology [DA], Pathology [DCP], Peadtrics [DCH], Obestrencis & Gynecology [DGO], Opthmology [DOMS], Orthopedics [D.Ortho], E.N.T [D.L.O], Radio Diagnosis [DMRD]. MSRMS was founded by Sri. M.S. Ramaiah under in the year 1979, Under Gokula Education Foundation. MSRMS has been permanently recognized by MCI, New Delhi for teaching MBBS and Post Graduate Degree Diploma Courses. MRSMC Ranked at No 16 among medical colleges in India by India Today and Outlook India. MD in Anatomy, Physiology, Biochemistry, Pharmacology, Pathology, Microbiology, Forensic Medicine, Community Medicine, General Medicine, Paediatrics, Anesthesiology, Radio Diagnosis, Radiotherapy, Dermatology, Respiratory Medicine, Emergency Medicine. MS in General Surgery, E.N.T, Opthalmology, Obstetrics & Gynecology, Orthopedics. Diploma in Child Health [DCH], D. Orthopedics, Obstrencs & Gynecology [D.G.O], Venerlogy & Dermatology [DVD], Radio Diagnosis [ DMRD], Anesthesology [D.A], Opthomology [D.O]. 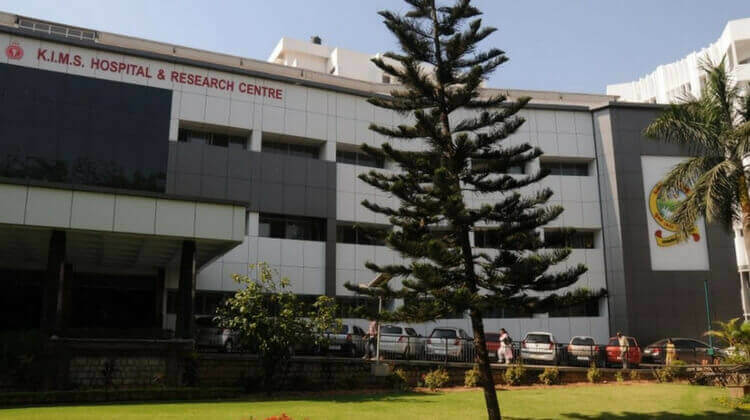 VIMS was founded under Srinivasa trust in the year 2000 and is located in Whitefield, Bangalore. 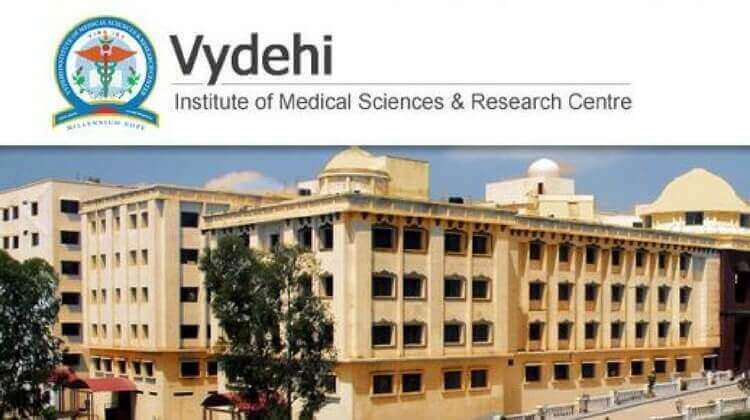 Vydehi Medical College provides admission to various courses such as MBBS, BDS, Nursing & Para Medical Courses. Vydehi Medical College is India’s largest super specialty hospital with a capacity of 1600 beds equipped with latest facilities and Hi-tech equipment. Permanently Recognized by Medical Council of India, New Delhi. Recognized for intake of 150 students per year and permitted for an increase of seats to 250 for MBBS Admission 2017-18. MD in Physiology, Biochemistry, Pathology, Microbiology, Pharmacology, Forensic Medicine, Community Medicine, General Medicine, Dermatology, Venereology & Leprosy, Psychiatry, Paediatrics, Anesthesiology. Radiodiagnosis, Radiotherapy, Hospital Administration, Emergency Medicine, Pulmonary Medicine. MS in Anatomy, General Surgery, Orthopedics, Opthalmology, E.N.T, Obstetrics & Gynecology. Diploma in Dermatology, Anesthesia, Child Health, Obstrencis & Gynecology, Psychological Medicine, Opthalmology, Orthopedics, Oto-Rhino-Laryngology, Radio Diagnosis. 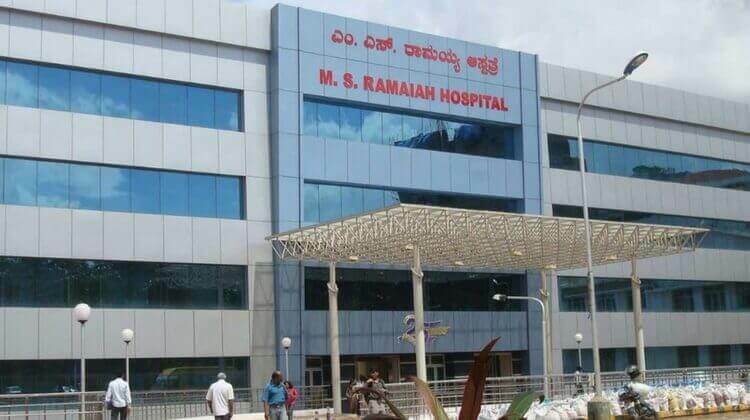 RRMCH was founded in the year 2005 under Moogambigai Charitable & Educational Trust which runs Medical, Engineering, Dental and Nursing College at Bangalore. 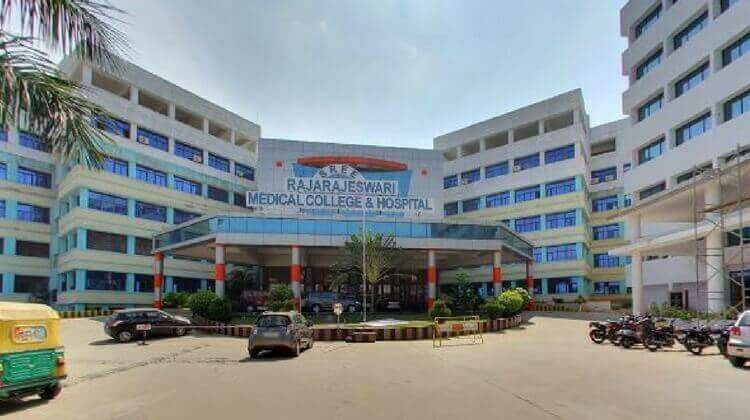 Rajarajeshwari Medical College is spread over 25 Acer of land located at Mysore Road, Bengaluru. RRMCH is permanently recognized by MCI for teaching MBBS, PG Medical Degree Diploma Courses, and Superspeacility Courses. Rajarajeshwari Medical Hospital offers a super specialty clinic in Cardiology, Plastic Surgery, Orthopedics, Paediatric Surgery, Endocrinology, Neurology, Nephrology. The medical hospital also offers critical care facilities with 18 Bed ICU, 24 * 7 Ambulance Service, Casualty, Eye Bank, Pharmacy, Blood Bank and Laboratory Services. RRMCH is also a member of International Medicine Science Academy which aims to provide enhanced medical care globally. Permanently Recognised by Medical Council of India, New Delhi. Recognized for Intake of 150 students every year, Permitted for Increase of seats to 250 students for MBBS Admission in 2017-18. MD in Anatomy, Anesthesia, Biochemistry, Community Medicine, Dermatology, Forensic Medicine, General Medicine, Microbiology, Pathology, Paediatrics, Pharmacology, Psychiatry, Radiodiagnosis, Respirator Medicine. MS in E.N.T, General Surgery, Opthalmology, Orthopedics, Obstetrics & Gynecology. DM- Cardiology, M.Ch. Urology, M.Ch. Plastic Surgery, M.Ch. Pediatric Surgery, Neurology. BRAMC was founded in the year 1981, by Anandaa Social & Education Trust which runs Dental, Nursing, Pharmacy, Paramedical Colleges at Bangalore. The College is spread over 25 Acer of land located at Kadugondanahalli, Bengaluru. BRAMC has been permanently recognized by MCI, New Delhi for teaching MBBS and PG Medical Degree Diploma Courses. It has 780 Bed Hospital with well planned Administrative office, Trust Office, Central Library, Pre Clinical, Para-Clinical Departments, and Sports section. A private medical college approved by the Rajiv Gandhi University of Health Science, Bangalore. 100 Students per year for MBBS Courses. MD in Anatomy, Physiology, Biochemistry, Pathology, Microbiology, Pharmacology, Forensic Medicine, Community Medicine, General Medicine, Obstrencs & Gynecology, Paediatrics, Radio Diagnosis, Anesthesiology, Dermatology. Diploma in DGO, D.Ortho, Dermatology [DVD], Pathology [DCP], Anesthesia [DA], Ophthalmol [DOMS]. MVJMC was founded in the year 1997, by Dr. M.V. Jayaraman who is also the founder of Sir Venketesha Education Society in 1970. This trust runs 11 Educational Institutions including MVJ Medical College Research Hospital & MVJ College of Engineering at Bangalore. MVJMC is spread over 27 Acer of Land located at NH 4, Hoskote, Bengaluru. MVJMC has been permanently recognized by MCI, New Delhi for teaching MBBS and PG Medical Courses. The MVJ Medical Hospital is 950 bedded multi-specialty research center equipped with modern diagnosis and therapeutic amenities for patient care. MVJ Medical is also teaching PG medical degree courses in 12 disciplines and diploma courses in 6 disciplines. Permanently Recognized by MCI. New Delhi. Recognized for Intake of 150 students per year for MBBS Admission. MD in Pathology, Psychiatry, Dermatology, General Medicine, Paediatrics, Anesthesia, Radiology. MS in General Surgery, Opthalmology, Orthopedics, E.N.T, Obstrencs & Gynecology. Diploma in D.CH, D.Ortho, DGO, DA, DOMS. SIMSRC was founded in the year 2011, by Late Sri G. Dayananda who is also the founder of Sri Srinivasa Educational & Charitable Trust. This trust runs a SIMS Medical College, Multi Speciality Hospital, Sapthigiri Engineering College and Hotel Solitaire at Bangalore. 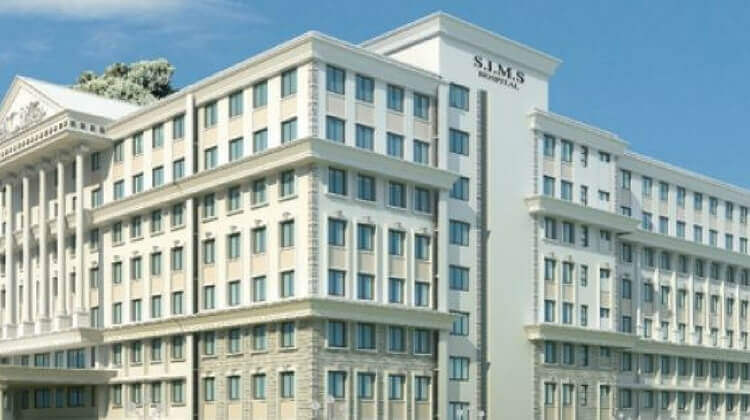 SIMSRC is spread over 35 Acer of Land located at Haserghatta Main Road, Bengaluru. SIMSRC has been permanently recognized by Medical Council of India for MBBS Admission in the year 2016. It also provides multi-specialty treatment hospital for the purpose of teaching MBBS and PG Medical Courses. MD in Biochemistry, Physiology, Forensic Medicine, Microbiology, Community Medicine, Pharmacology. 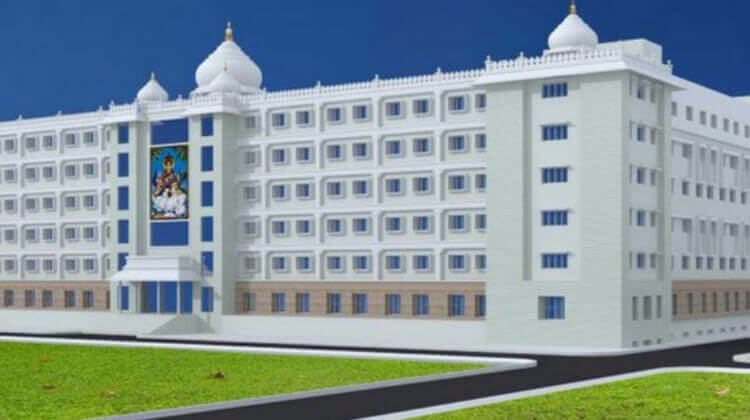 BGS Global Medical College was founded in 2013, by Late Achary Balgangadharmaha Swamiji who is also the founder of historic Sri Adichunchanagiri Shikshana Trust in 1973. 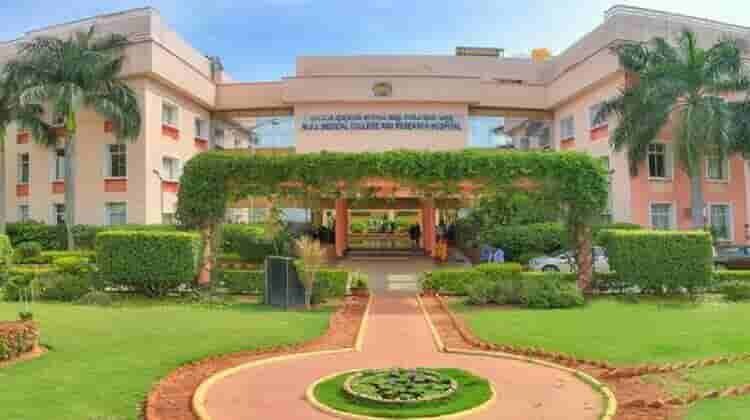 This trust also runs the Adichuchanagiri Institute of medical science and hospital, BGS Hospital and over 400 educational Institutions across Karnataka. BGS Medical College is spread over 55 Acer of land located at Uttrahalli – Kengeri Road, Bengaluru. 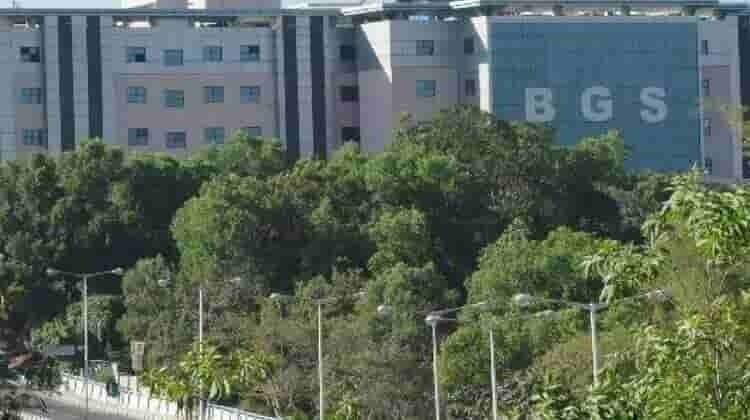 BGS Medical College has been approved by MCI, New Delhi for teaching MBBS and PG Medical Courses and BGS Hospital has 300-bed facilities for Patients. BGSGMIS is well-equipped departments with the Lecture hall, Central Library, Hostel, Sports & Games, Staff Quarters, Anti Ragging Committee, Cafeteria, Transportation facility, Security all designed as per MCI norms. Permitted for Admission to PG and MBBS Courses by MCI, New Delhi. Permitted for Intake of 150 Students for MBBS Admission 2017- 18 Batch. MD in Anatomy, Anesthesia, Physiology, Biochemistry, Pharmacology, Pathology, Forensic Medicine, Microbiology, Community Medicine, General Medicine, Dermatology, Psychiatry, TB-Chest, Paediatrics, Radiodiagnosis, Dentistry. AIMSRC was founded in the year 2016, by Mr. K. Muniraju under Akash Education & Development Trust. It is well equipped with the clinical, paraclinical and preclinical department, Administrative block, lecture halls, Central Library, Auditorium, Workshop, Animal House, Research Center, Hostel, Mess and Sports facilities. AIMS & RC is located at Devanahalli, Near to Bengaluru International Airport. Akash Institute of Medical Science has permitted for MBBS admission by MCI for 2017-18 Batch. Akash Multi Specialty Hospital has Anatomy, Physiology, Biochemistry, Pharmacology, Pathology, Microbiology, Forensic Medicine, Community Medicine, Paediatrics, TB & Chest Diseases, Opthalmology, Dermatology, General Surgery, OBG, Orthopedics & E.N.T departments. Approved by MCI, New Delhi for MBBS Admission. Permitted for Intake of 150 Students per year for MBBS Admission 2017-18 Batch. EPCMS was founded in the year 2017, by Dr. S. M.Venkatpathi under MG Charitable Trust. This trust runs Engineering, Medical, Nursing, Pharmacy, Management and Class 12th school at Bangalore. 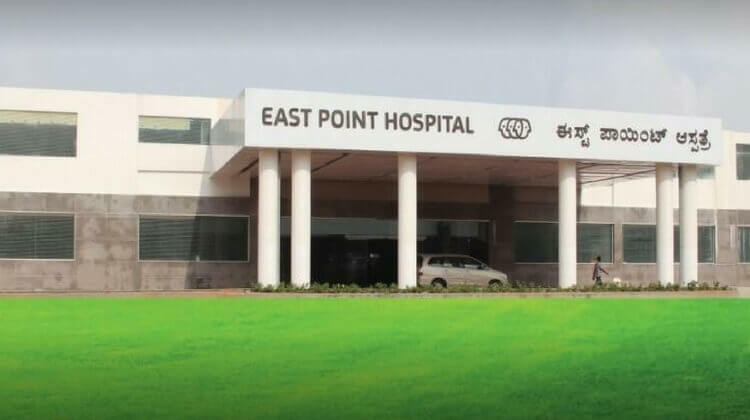 East Point medical college is spread over 113 Acer of land located in the eastern part of Bangalore Urban district. The Medical hospital is a 300 bedded multispecialty hospital with Anatomy, Physiology, Biochemistry, Microbiology, Pharmacology, Forensic Science, Community Medicine departments. The medical college is well equipped with Lecture halls, canteen, Library, hostel and sports facilities as per MCI norms. Permitted for Intake of 150 students for MBBS Admission 2017-18 Batch. The Oxford medical college was founded in 2013, by Mr. S. Narasa Raju Under Children’s Education Society. This trust runs 32 Educational Institution including Medical, Engineering, Dental, Nursing, Pharmacy, Physiotherapy, Management, Law, Life Science and Class 12th School at Bangalore. 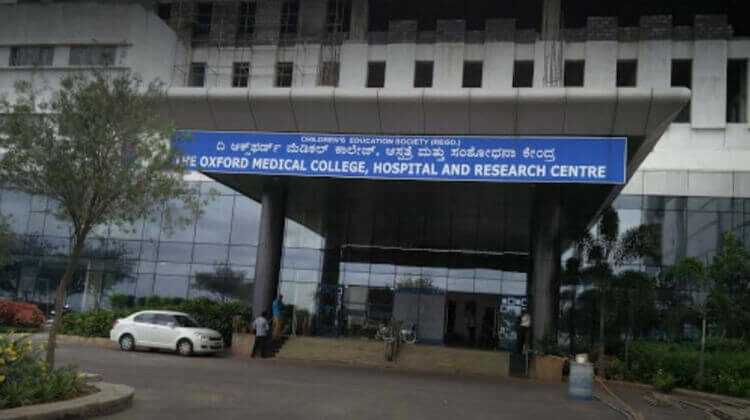 Oxford medical college is spread over 110 Acer of land located at Electronic City, Hosur Road, Bengaluru. Oxford Medica College is well equipped with Central Library, Lectures Halls, Cafeteria, Hostel, and Sports facilities. The medical hospital has Casualty, OPD, ICU, Central Diagnostics Labs, Blood Bank, Pharmacy, Ambulance and Clinical facilities. It is also a 750 bedded multi-specialty hospital with General Medicine, Paediatrics, Dermatology, TB & Chest, Radio Diagnosis, General Surgery, Anesthesia, OBG, Orthopedics, ENT, Opthalmology, Psychiatry, Anatomy, Psychology, Microbiology, Pathology, Pharmacology, Forensic and Community Medicine Departments. Approved by Medical Council for MBBS Admission for 2017-18 Batch. Permitted for Intake of 150 Students for MBBS Admission in 2017. I have given you a brief idea about all Medical Colleges located in Bangalore approved by MCI, New Delhi till 2018. To join these colleges or to get more personalized information about any particular college Sign Up for direct admission Email Newsletter. NEET 2018 FOR MBBS Admission, fees will vary as per rank secured. Please apply for NEET 2018, Exams will be held on 5th May. Admission to MBBS Only after qualifying NEET. please send the details of admission procedure, eligibility and course fees. I want MBBS admission for 2018-19 batch. How many PG degree medical seat recognized by MCI of KIMS, Bangalore. I want direct admission in MBBS. Need details for management quota seats. How I get admission in MBBS? And what is the total fee? I want to take admission in a Medical college in Bengaluru. Plz, forward details of conditions for MBBS admission, my son expecting 450 in NEET. Can I get admission in Mbbs college if I score below 360 in Neet 2018? Hi, I got 397 marks in neet. 93% in 12th CBSE. we are from Pune can we get MBBS seat in Bangalore, pls let me know how much it costs. Apply for Karnataka UG MBBS BDS State quota counseling. What will be the approx fee for MBBS under management quota in a recognized medical college in Karnataka state? Management Quota Fees is available on KEA, Karnataka website for RGUHS Medical Colleges, Deemed medical colleges Management fees is available on MCC website. Can u tell me the approximate fee for neet PG in these colleges? You can download the Free Ebook to know the Fee details.